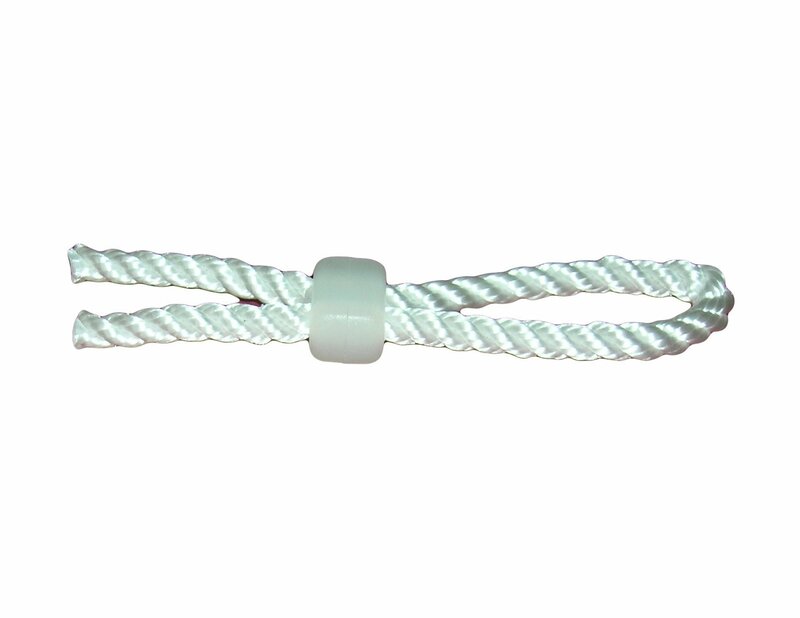 Sew-on rope loop in 6mm diameter poly-propylene cord with an overall length of 125mm. 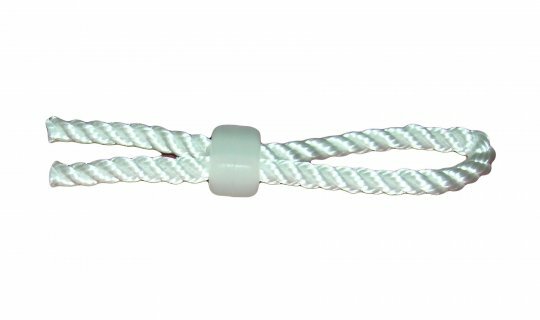 Loop above block x 61mm internal length (top to block). Loop ends below block x 45mm long.